Cindy Sadler’s eclectic operatic career represents the benchmark of entrepreneurial artistry. A standout performer in any cast with her rich, abundant contralto and charismatic characterizations, she has made herself indispensable in the classical music arena through her writings, consulting and educational work, as well as her fresh vision for the stage. Most recently, Cindy made her role and company debut as The Mother in The Consul with Dayton Opera and performed her first Sondheim role, Madame Armfeldt in A Little Night Music with Alamo City Opera. She also jumped in as Carmen with the Irving Symphony, reprised a signature role, the Marquise de Berkenfield in La fille du regiment with both Austin and Intermountain Operas, and made her Atlanta Opera debut in another signature role, Gertrude in Romeo & Juliette. Cindy’s extensive repertoire includes Marcellina (Le nozze di Figaro), Mistress Quickly (Falstaff and Sir John in Love), La Zia Principessa/Frugola/Zita (Il trittico), Erda (Das Rheingold), Ruth (Pirates of Penzance), Mrs. Sedley (Peter Grimes), and many others. She has appeared on the stages of Chicago Lyric Opera, Atlanta Opera, Florida Grand Opera, Portland Opera, San Antonio Opera, Tulsa Opera, Austin Opera, Chautauqua Opera, Central City Opera, Fort Worth Opera, Mill City Summer Opera, Des Moines Metro Opera, The Princeton Festival , Opera Idaho, the Hollywood Bowl, the Christine Company of Phantom of the Opera, and many others. As a stage director, Cindy is known for creative storytelling that offers a unique or unexplored perspective into the minds and hearts of the characters. Recent productions include La Vie de Boheme (an original concept for the Hurley School of Music at Centenary College of Louisiana), L’elisir d’amore and Prince Orlovsky’s Ball for Spotlight on Opera, and her international directing debut with a double bill of Suor Angelica & Gianni Schicchi at the Mediterranean Opera Festival in Caltagirone, Sicily. In 2018, she will reprise a new script and production of Prince Orlovsky’s Ball for the Hurley School of Music, and direct La Bohème and The Pirates of Penzance for Spotlight on Opera. Cindy’s directing credits include Gianni Schicchi for Opera Idaho, Little Red Riding Hood for Syracuse Opera, and Cavalleria rusticana, The Ballad of Baby Doe, The Crucible, Die Zauberflöte, Abu Hassan, and The Medium (Spotlight on Opera). Known throughout the classical music world for her Mezzo With Character blog and 20+ year association with Classical Singer Magazine as their “Ask Erda” advice columnist, Cindy’s frank and witty writings on the classical singing industry are required reading, and she is one of the most often shared writers on the topic. 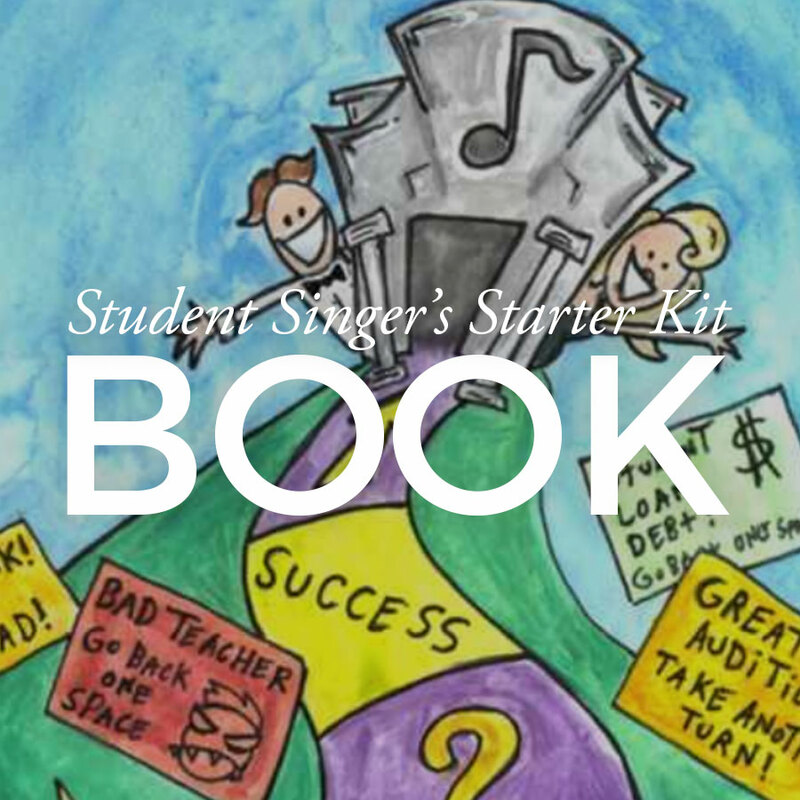 She is also the author of The Student Singers’ Starter Kit, an essential book for students and parents considering a career in the arts. More recently, Cindy has begun to create her own translations of opera (a Gianni Schicchi set in 1980s Texas; English dialogue for The Magic Flute) and customizable concept productions which are especially suitable for young voices. These include La Vie de Boheme, a musical exploration the Bohemian life from a historical and cultural perspective; and Prince Orlovsky’s Ball, a two act opera based on Act II of Die Fledermaus, with original script which is rewritten for each new cast. 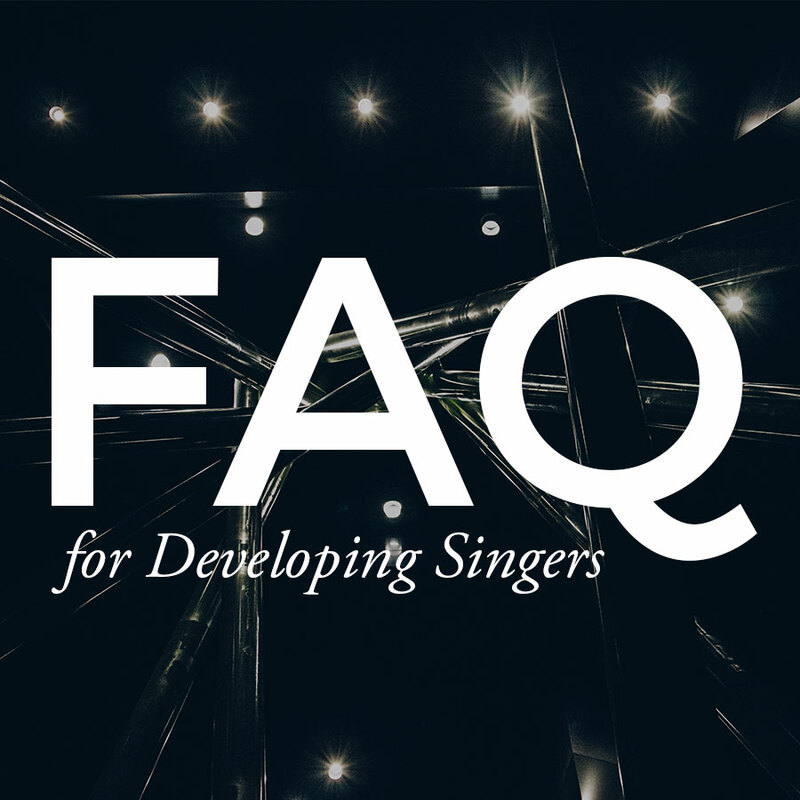 Cindy’s knowledge of the industry and passion for education led her to create The Business of Singing consultancy, which for twenty years has been the go-to source for artists hoping to troubleshoot their careers. In addition to hundreds of private consultations and special projects, Cindy has given workshops to students at The San Francisco Conservatory, the Puerto Rico Conservatory, UCLA, Des Moines Metro Opera Young Artists Program, the CoOPERAtive program at Westminster College of the Arts, Portland State University, Resonanz Opera, Opera San Jose, the Classical Singer Convention, and many more. 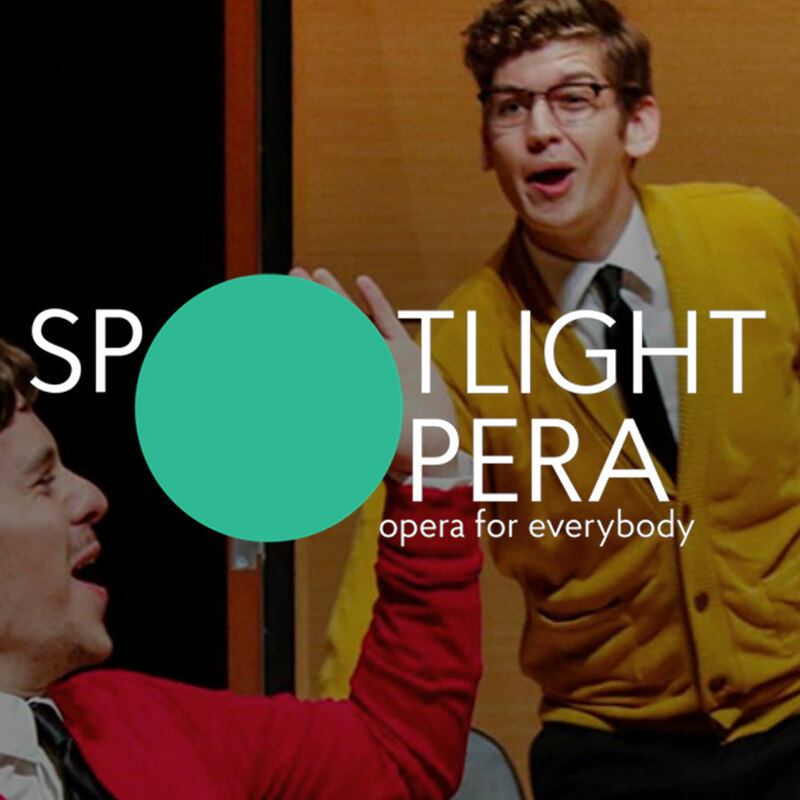 She also established Spotlight on Opera, a premiere artistic entrepreneurship and training program for career track and avocational singers, currently in its 12th season. She is also the Artist in Residence at the Hurley School of Music at Centenary College of Louisiana, where she teaches voice and directs the Singers’ Workshop. 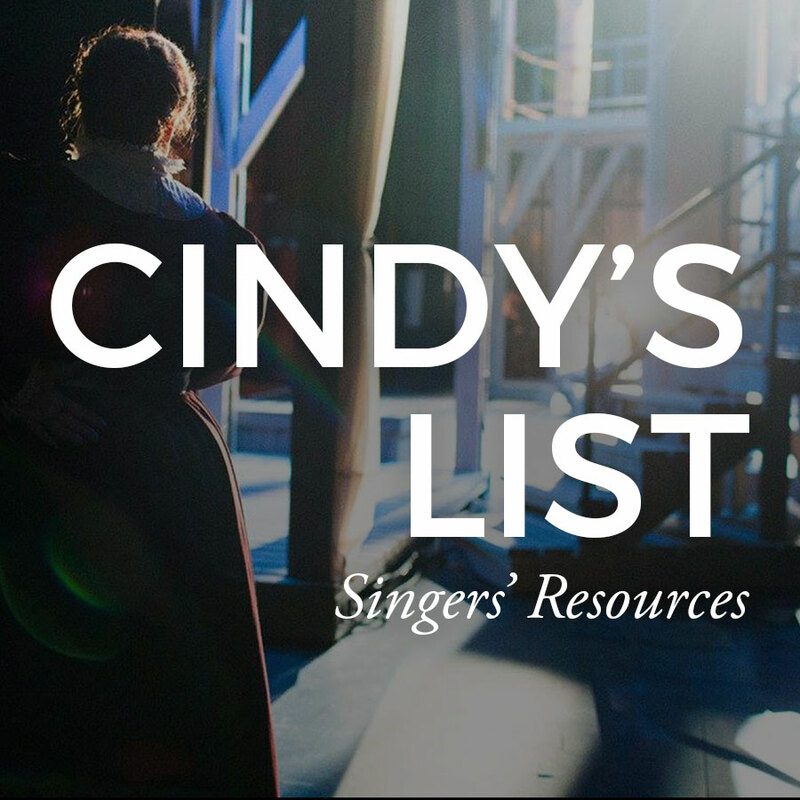 Cindy continues to explore, create, advise, educate, and innovate in the field of classical singing.